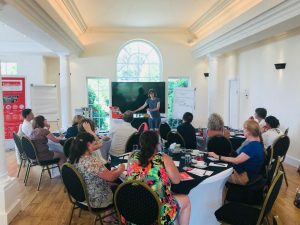 We spoke to Anca Petcu, founder of Eco-Cleaning Bristol, to learn more out about her experiences of running a small business. Eco-Cleaning has been trading for nine years providing environmentally friendly cleaning services, reliability and peace of mind for a range of locally based domestic and commercial customers. Driven by Anca’s pursuit of quality throughout the business, Eco-Cleaning is the only cleaning company in Bristol to have been awarded a Which ‘Trusted Trader’ endorsement based on its consistent service and desire to please its customers. This commitment has helped Anca to increase her turnover year on year and build long-term relationships with her clients, and her employees. Running a small business is a big responsibility and Anca has invested dedicated time to build her knowledge base and confidence. Working with GetSet, has helped to give her a chance to reflect on progress, and offered practical ways to help improve her commercial awareness and a make plan for the future. 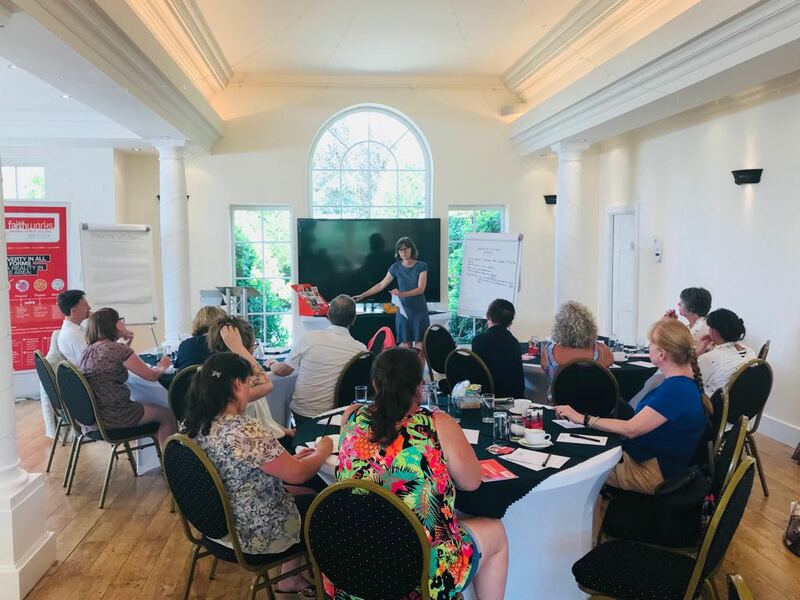 She has taken advantage of the free workshop training too, particularly around operational finance and the importance of cash-flow, along with 1:1 support to identify new ways to generate leads and build the pipeline around her business. She has also valued the chance to network with like-minded peers and learn from the experiences of other small businesses. Looking ahead, Anca has a vision to be the ‘go to’ cleaning company in Bristol. She intends to take on additional staff including a team leader to ensure she can spend more time working on the business rather than in it. Finally, she’s considering the opportunity for a re-brand and referral scheme to fuel the next phase of growth. We spoke to Ruth Argles, Communications Lead at Faithworks in Bournemouth. Running for 15 years, Faithworks is a not for profit, independent charity solely focused on helping people get out of crisis and isolation, giving them renewed hope for a more positive future. 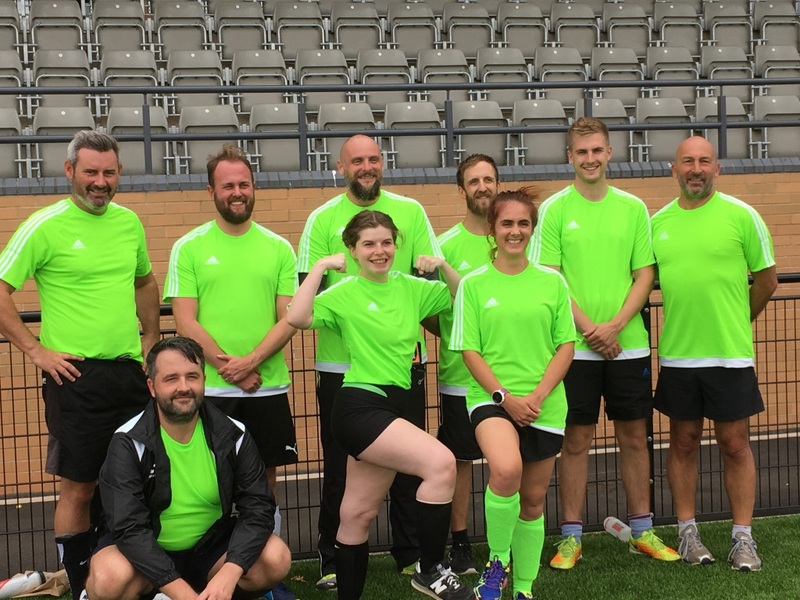 The small team supports a wide range of initiatives locally and is currently involved in 14 wide-ranging projects across the region, including Food Banks, befriending carers, debt advice, homelessness and helping single parents. Building on their existing links with Christian churches, there is considerable scope to build wider regional awareness and understanding around the charity’s aims and good works. Having a strong volunteer network and communicating tangible results is also essential for future-proofing their future growth. Ruth discovered the GetSet service online and was impressed not only by the range of content but by the ease of accessing the quality resources locally. Keen to build her skills and communications confidence she has taken full advantage of the range of support this year including workshop training and 1:1 mentoring. 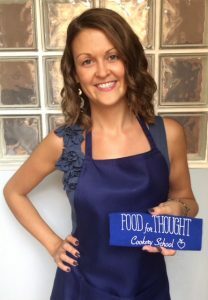 As a small charity with minimal marketing investment, she now feels better equipped and ready to explore the potential of social marketing and blog content too in order to build the wider Faithworks community of interest. She says: “It’s a great resource, a blessing that it is funded with mentoring support where needed. There is a real energy with GetSet and wonderful to be able to absorb it”. Ruth and the Faithworks team are now looking ahead with a renewed sense of purpose and keen to make further investment in digital channels to help them get their name and work in front of more and more people including funders. 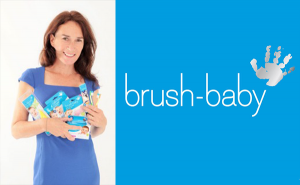 Brush-Baby started out as an idea of founder and mother Dominique Tillen to help address dental decay, one of the world’s most preventable diseases, through enabling parents to help children take care of their teeth – even before they have them! Over 500 children are hospitalised each week for dental extractions, and a third of primary school children have some form of dental decay. Dominique devised a range of products, including tastebud-friendly toothpastes, easy-grip Silicone Chewable Teether/Toothbrushes and Mini Electric Toothbrushes, helping parents establish a routine for children to transition through, once their behavioural skills and manual dexterity skills have developed sufficiently. Having grown a very successful UK business, with Brush-Baby products in the major supermarkets, John Lewis, Mothercare, Superdrug and JoJo Maman Bebe, and a trade line through dental surgeries and distributors in 22 countries, Dominique was facing many of the challenges of growth. Like many manufacturing and distribution businesses, long lead times from manufacture to payment was impacting on cashflow, the lifeblood of any business. And after 8 years, it was also time to take the next big step, with outside, impartial and experienced support to help prepare the business and its founder to grow to international level. As Dominique says: “as a business owner, you’re not only a manager of products, money, people and ideas, and trying to stay one step ahead of the game, so ambition and ideas can often get lost. I was getting bogged down in the day-to-day minutiae of the running of the business”. Dominique worked with GetSet Solent for three months. 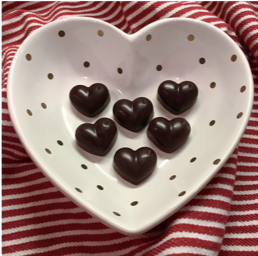 During this time, they helped her secure a £1m financing facility, revisited and structured her business plan with dates, responsibilities and measurable outcomes, and assisting her with her new marketing strategy. A monthly coaching session with their marketing advisor designed to stop, step back, and work on the bigger picture helped ensure Brush-Baby stayed on track with its plans for growth. An additional salesperson was recruited, the business moved from reactive to proactive, together with new marketing activity to achieve the targets in the business plan. A great foundation from which to achieve Brush-Baby’s goal to be the ‘go to’ name in dental care products, and a game changer in dental health. 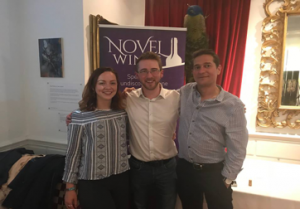 We spoke to co-founder Ben Franks, to find out more about the new exciting venture Novel Wines. 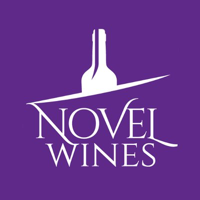 Based in Bath, Novel Wines is an independent, award-winning online wine retailer on a mission to showcase overlooked wines, regions and producers. Trading since 2016, he told us about the journey so far in setting up the business, and the growth support he and his co-founder Gyorgy Zsiga have received from GetSet. With a background in wine journalism, Ben quickly developed a keen interest in English and Romanian wines with a desire to make them more accessible to a wider audience. A meeting with Hungarian importer, Gyorgy to discuss their shared passion for the delightfully named dessert wine, ‘Kardos Fairytale’ quickly led on to the real chance to set up a viable business model around the sourcing and retailing of wines from Eastern Europe and globally. From road-testing the initial concept via a targeted crowdfunding campaign and a personal investment of £20k, more than 200 handpicked global wines are now available to buy online, complete with compelling stories and tasting notes. Against a backdrop of established players, Novel Wines continues to go from strength to strength with a laser focus on its niche market of discerning / curious wine lovers. Building on last year’s turnover of £100k, Ben talked more about the support he has received from the GetSet team in helping to bring a growth planning discipline into the business, together with the creation of a compelling business case and third-party support to secure a six-figure equity investment. GetSet helped in other ways too by inviting Ben to participate in the successful internship programme it ran earlier in the year with University of Bristol. Looking ahead the future looks very positive for Novel Wines with every confidence that 2018 will be another very good vintage for the team!